Printable Valentine delights, including paper baskets, bookmarks, word search puzzles, heart Valentines, mini Valentine cards and personal Valentine coupons. Four printable Valentine baskets to hold Valentine treats and hide as surprises, use as place settings, or give as great homemade Valentine gifts. Just the ticket if you're looking to pamper your sweetheart this Valentine's Day! Fill in the two blank coupons with your own ideas, or choose from our other free printable Valentine's Day coupon designs! Sixteen heart cut-outs of different designs for you to print out on one page! 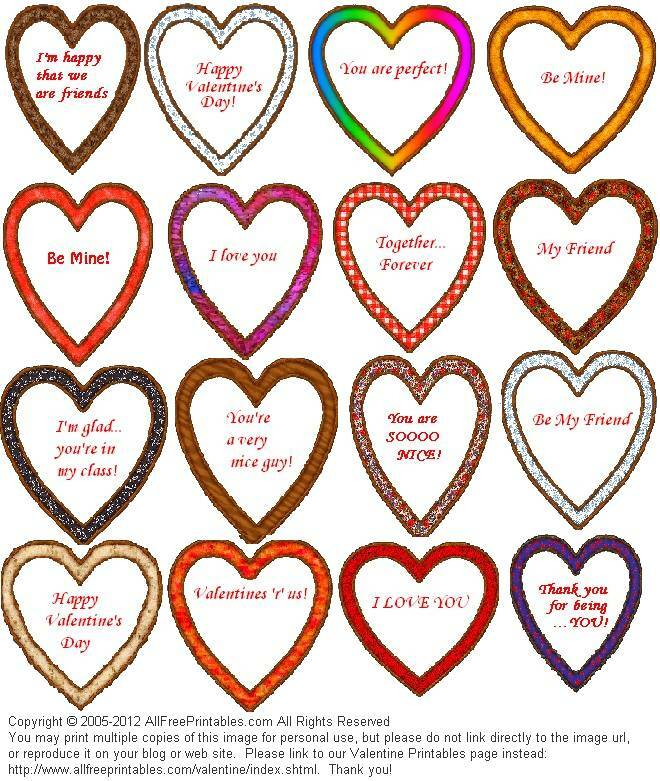 Assorted mini Valentines to print on one page of paper or card stock, cut out, and give to your friends. Print our Valentine booklet on just one sheet of computer paper. Our step-by-step photos illustrate how to fold the single sheet of computer paper into a miniature Valentine booklet. Check out the new look at >Horses-and-Ponies.com and print out free horse theme Valentines - great for the horse lover or animal lover in your life! Print one of our free printable Valentine's Day bookmarks (thumbnails at left) for someone you love! 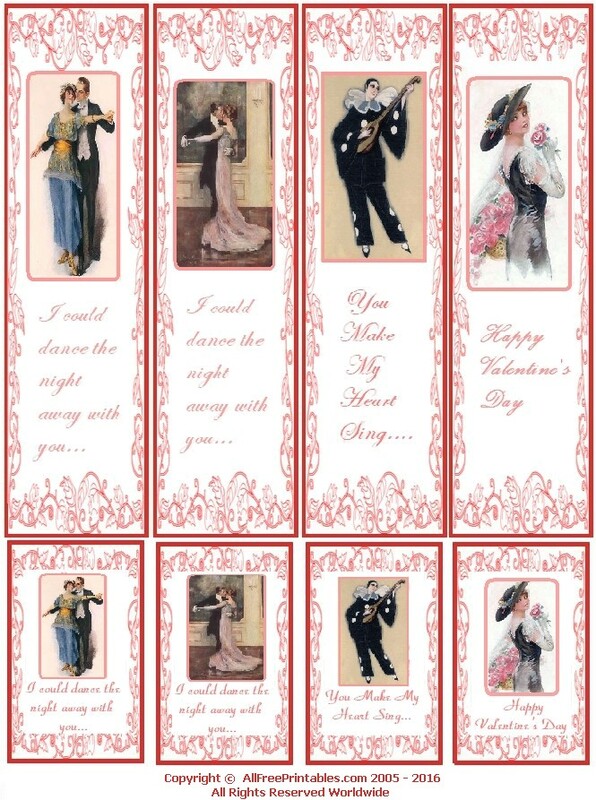 Just click on the romantic design that you like the best to access and print the full-sized free bookmark. You can also print all four single-side bookmarks, with matching small Valentines, on one sheet of plain paper or card stock. Print multiple copies of these Valentine Word Searches for your children or students. Valentine Word Search Two, with 12 Valentine theme words.